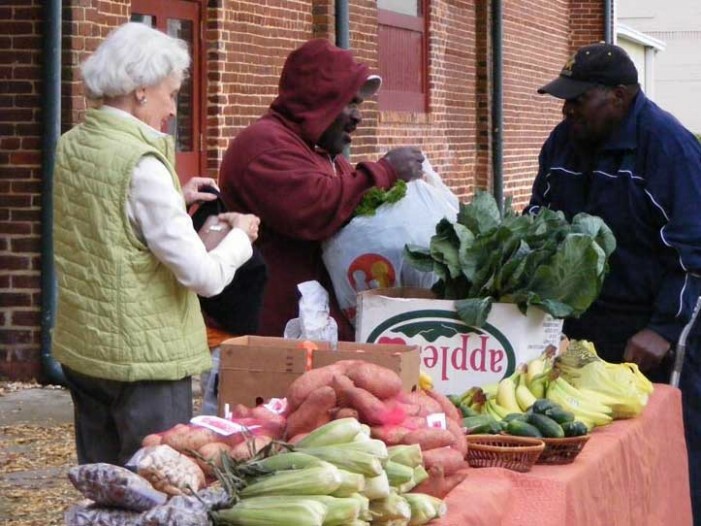 Last Thursday afternoon the Johnston Farmer’s & Artist’s Market saw lots of local folks buying fresh green beans, yellow squash, tomatoes, sweet potatoes, radishes, cucumbers, watermelons, peaches, onions, parched peanuts and eggs. Also, pickles and relishes, a large selection of delicious baked goods including breads, cakes, rolls and cookies. You could buy baled pine straw, beautiful colors of daylilies, potted plants, gourds and lots more!!!! We expect all mentioned above plus Lion’s Club brooms, Edgefield County Chamber of Commerce cookbooks, prints & note cards by a local artist, and soaps & hand knitted items by a local crafts person. Also, a local author Jodie Adamick Cromer will have autographed copies of her children’s book “The Princess of Hope Hill” for sale (illustrations by her mother Judy Adamick). Remember that market hours have been extended . . . 4-6:30 p.m. each Thursday in front of the Library/Warehouse on Calhoun Street. Stay tuned for more details! Since July 4th falls on our regular market day (Thursday) there will be a Special Market on Wednesday, July 3rd. B-B-Q (half chicken $7, whole chicken $10, and pulled pork $8/lb or hash $9/qt.) by Johnston United Methodist Church for Missions along with fresh vegetables and delicious baked goods could make a delicious meal for your 4th of July! Also, come enjoy Edgefield’s Farmer’s, Artists & Craft Market! Local produce, crafts, plants and food items abound at the new Farmer’s Market on the Square EVERY Saturday morning now through September. From 9 am — 1 pm New vendors are welcome! Cost for vendors is $5 per Saturday. Please set up between 8:30 and 9:00 am For information call Carolyn (803) 507-0278 Sponsored by Edgefield Community Development Association.